I am very blessed to have a mother who is willing to spoil me with Christmas presents every year. Here we are, December 26, and I am happily playing. Unfortunately it is nearly bedtime and I have work tomorrow morning bright and early. 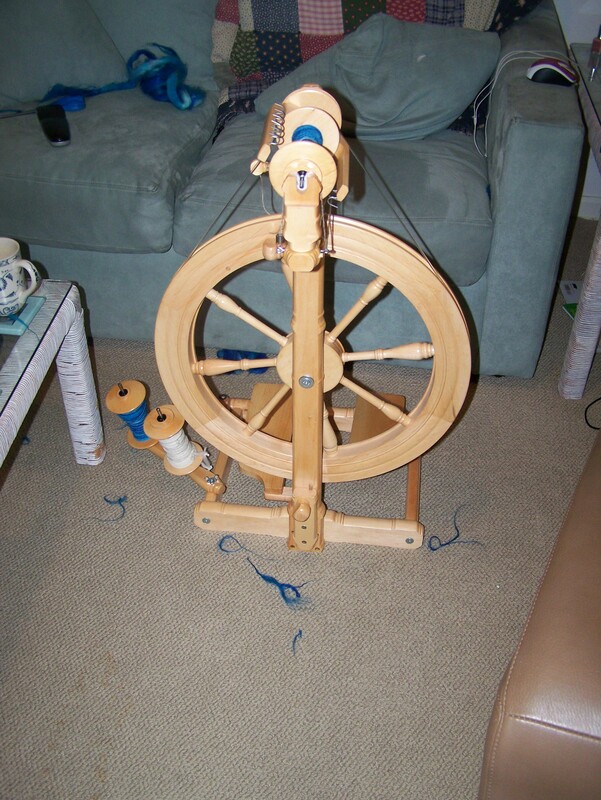 Despite telling my husband repeatedly that I am not returning and that he will have to get two or even three jobs to support my fiber habit, I will soon be returning my wheel to its corner to get ready for tomorrow. I should have posted earlier- but – I was busy – playing. Christmas eve I called my mother asking to open my presents early with full knowledge that my new jumbo plying head for my Kromski Sonata. After Skyping present opening, I popped that baby on and plyed two strands of bfl wool and one strand of local brown alpaca together. Not only did it create a huge skein of yarn but it looked gorgeous. The pictures don’t even do it justice. I just want to hold it and hug it and love it forever. I’ve been working on two more bobbins of wool and will have to make at least one more skein if not more to create the sweater jacket I want to knit. It should be ready just in time for next winter. Alpaca is very very warm and I live in southern Florida. I may just turn up the A/C and walk around the house wearing my sweater. If only I didn’t have to pay electric bills. My mother gave me a Kromski Sonata spinning wheel for Christmas and it has been keeping me happily busy. After managing to put it together, then reading through the instructions, oiling everything up and then finding my stash of wool I had bought at the Fiber In two years ago, I began my new adventure of spinnning. 1- you have to oil it. My spinning wheel came with oil but I noticed online that people recommend using non additive motor oil as the cheap method. I also read online that the piece of leather on the flyer should be oiled every 15-30 minutes of use. 2- There is pencil roving available that is easier on newbies. It is predrafted so that you only have to draft minimally while becoming comfortable with spinning. 3- You will overtwist the yarn. The best way to slow down the twist while learning is to slow down the treadling. 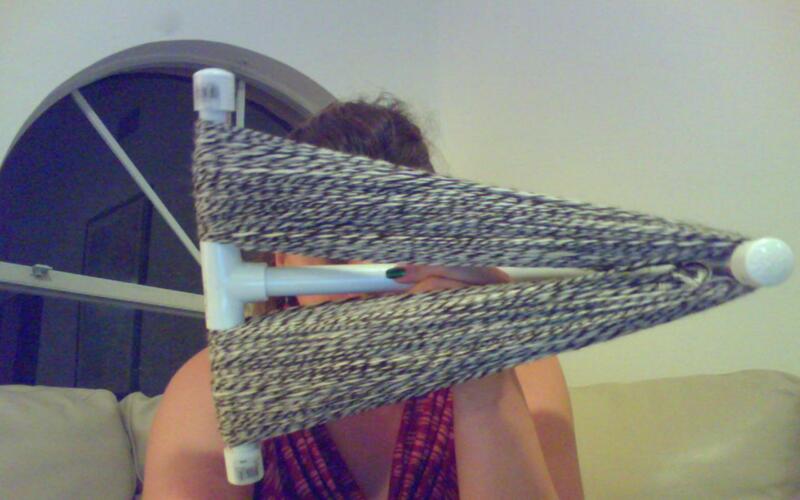 I want to immediately treadle like crazy because it’s what I’ve seen experienced spinners do. Slow down. 4- It is incredibly addicting and relaxing it. 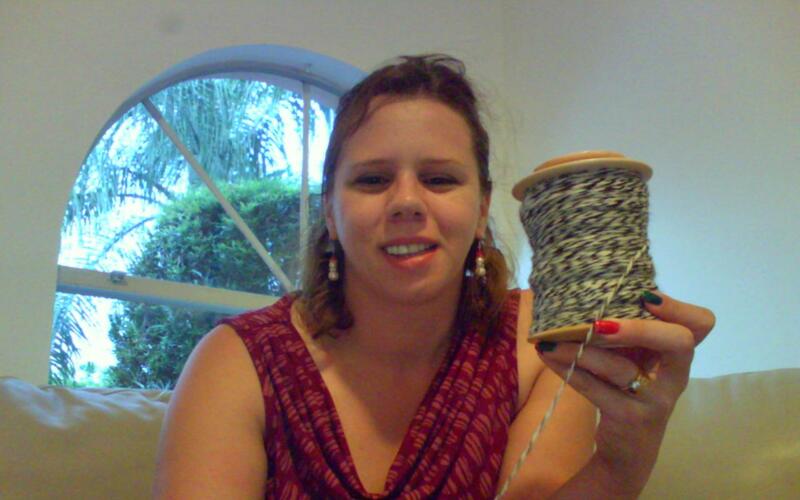 I’m enjoying my new spinning wheel and playing with yarn. I’ve already made a ball of yarn out of it and knit a pair of socks.